Custom designed die struck hard enamel metal emblems. We can custom design these for you in quantities of 100 or more. There is a die charge of $120.00 for standard shapes. Fancy, irregular or dimentional shapes require more expensive dies. 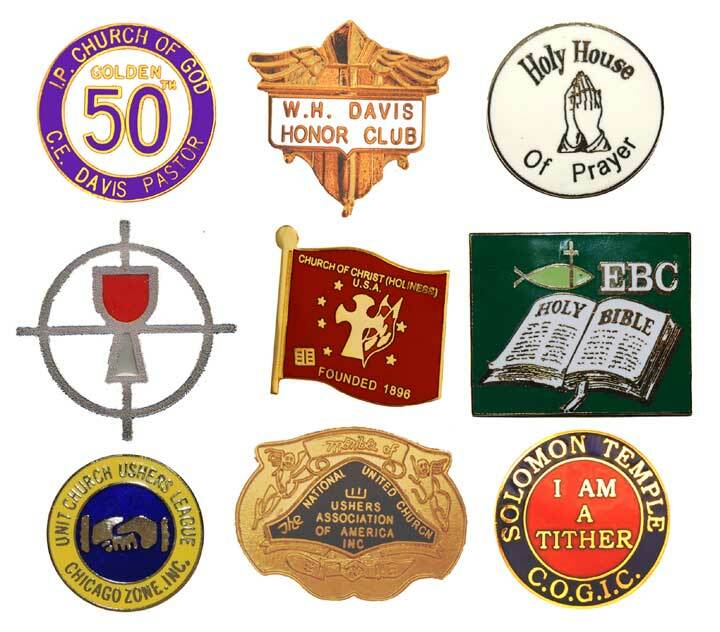 The pricing of the emblem depends on the number of colors, the size and the attachment chosen. Designing this type of pin requires attention to detail and it is usually best to have a thorough discussion after we have recieved the artwork. Delivery takes approx. 6 to 8 weeks.